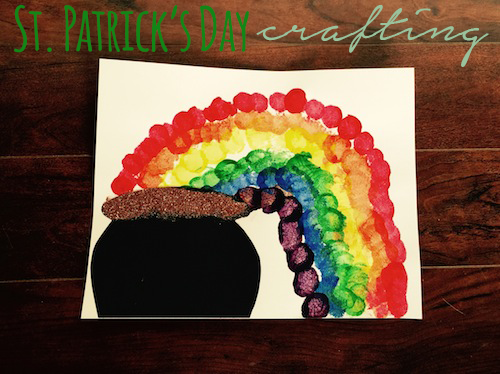 Today I am bringing you a super easy and fun craft in honor of St. Patrick's day. I have finally unpacked my big fancy camera from Cali, so maybe, just maybe, the picture quality around these parts will be increasing sometime soon. On your blank piece of paper, sketch on a "pot" for the gold. This will give your child a great starting point for his/her rainbow. Grab your clothes pin and attach it to a pom ball. 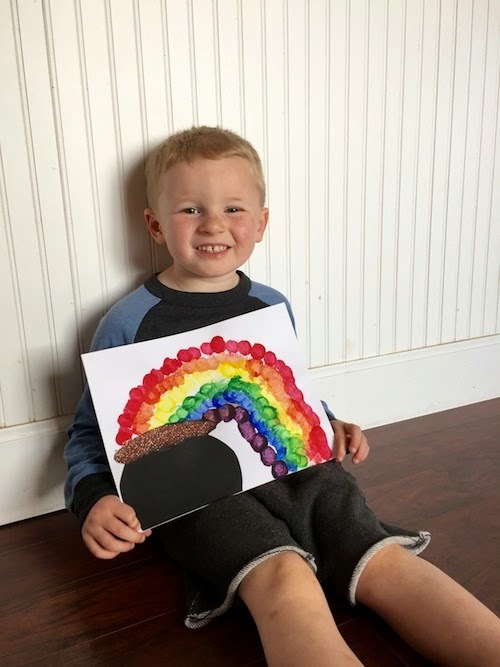 Start with the red paint and have your child make an arch to start the rainbow. After the red is complete, toss the pom and start with a fresh one for each color. Continue until all colors are complete. Once the paint dries, cut out a pot from black paper. Glue it onto your paper. Swipe some glue on the top of the pot, throw on some glitter, and call it a day! 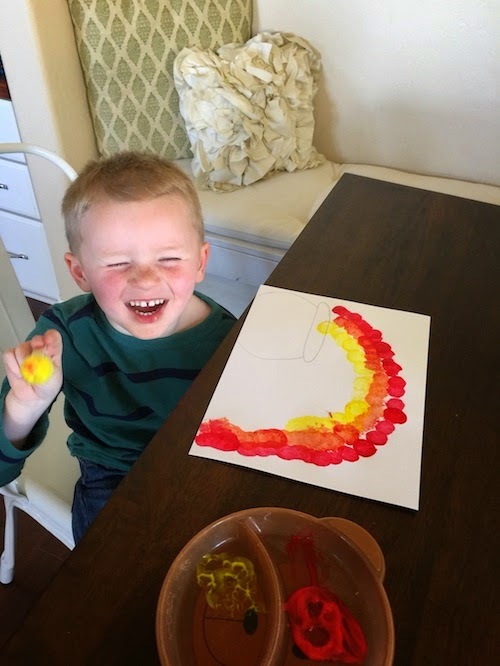 Brody is very proud of his artwork, and claims he will be making one for each of his friends. It was quite simple, and pretty cute too. Do it with your kids today! What a cute craft! Isn't it great when they are so proud of their artwork! Is it bad that I'm 21 years old and I want to do do that? Oh this is so cute! He looks so proud and happy, adorable! So cute! We did something similar with paint dabbers! I love those things!